If there’s one machine in your home that should always be working, it’s your septic tank. 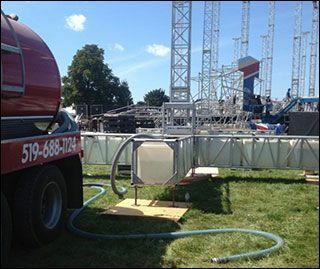 At Chitters Septic Services, we make sure that the sewage disposal systems in Oxford County operate at top functionality. With over four service trucks stationed in three different locations throughout Otterville, Tillsonburg and Woodstock, we’re always ready to assist you. Got a septic system emergency? No need to get your hands dirty. Our team of experienced technicians at Chitters Septic Services will gladly neutralize your septic situation. Available 24 hours a day, 7 days a week, we’re always at your disposal. Don’t let just anyone tinker with your septic tank. Our team of knowledgeable and skilled technicians come fully licensed, insured and approved by the Ministry of the Environment. Not only do they know their tanks, our staff is friendly and dedicated to providing you considerate customer service. 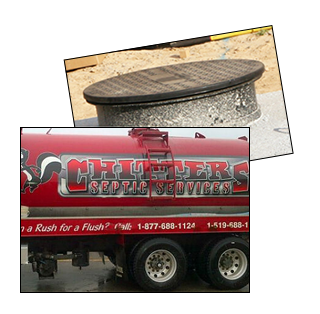 For septic repair, cleaning and installation at an affordable price, call Chitters Septic Services today and receive a free estimate.